Heavy Planet presents today's "New Band To Burn One To"...DEEP SPACE DESTRUCTORS! 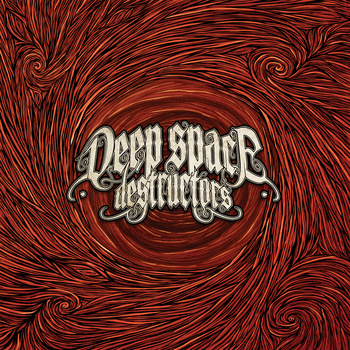 Deep Space Destructors was founded in January 2011 in Oulu, Finland, on band members’ mutual love for 60’s and 70’s blues, hard rock, prog and psychedelia. The band added influences from stoner and doom genres, resulting in their brand of progressive doomsday spacerock. The first three songs were written, recorded, mixed and mastered by the band in fall of 2011. The band’s journey continues towards deeper space and sounds. "As I listened to Oslo, Finland's Deep Space Destructors I couldn't help to just take a deep breath and chill out. The warm fuzzy guitar tone sets the mood for this transcendental trip through the cosmos. The music rockets you into another dimension by utilizing trippy effects, amazing grooves and a psychedelic hodgepodge of progressive dynamics. The band drifts in and out of 60's psychedelia and 70's space rock while gravitating towards some pretty killer doom-laden riffage. Put on your goggles and prepare to launch into a wonderful galactic experience of space and sound."